For the 'Green Laner' doing non extreme off roading or those driving frequently on low traction surfaces i.e. 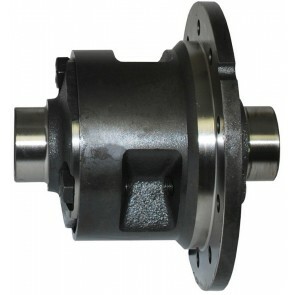 pulling a horsebox off a grass, or on ice/snow the Limited Slip Differential is an ideal upgrade for your vehicle. 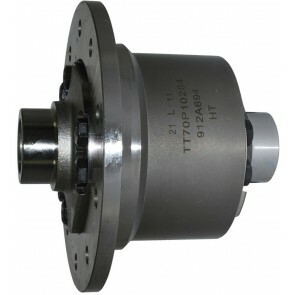 The Limited Slip operation differs from the Locking differential in that it is never 100% locked. 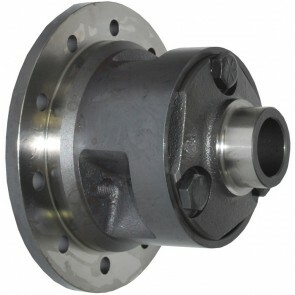 It operates by applying torque to the wheel with traction when the other wheel looses grip. 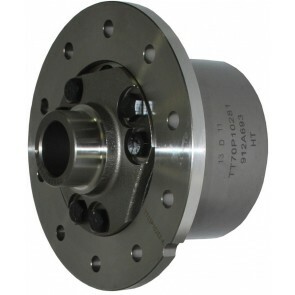 The ATB gear type limited slip relies on the internal friction generated by gear sets within the diff centre, these gear sets are unsupported and designed to be ineffecient. In a normal situation, i.e. 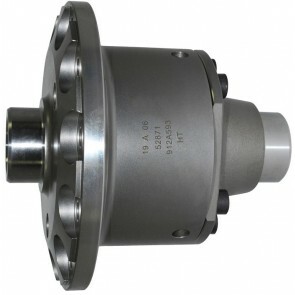 on road this diff will be totally transparent, you will not know it is fitted. Provided both wheels have grip no torque biasing takes place, on a bend or corner the faster outer wheel will try to bind up the internal gears but the inner slower wheel constantly unwinds the gears, so again on a corner no bias is felt. 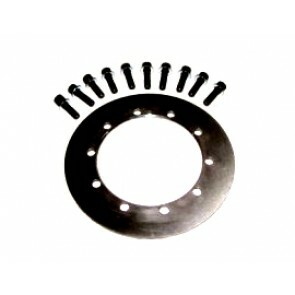 On low or no traction surfaces where one wheel has considerably less traction than the other and thus tends to spin, the gear action within the diff causes friction which in turn applies load to the wheel with traction. The amount of torque applied depends on what is termed the 'Bias ratio'. Bias ratios can be varied by different pre-loads and different gear profiles but the most common have a bias ratio of approx 2:1. 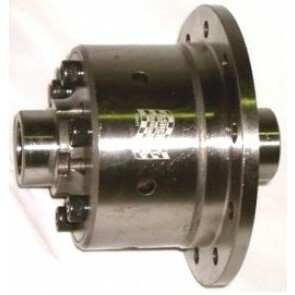 The advantage of a Limited Slip differential is that it is totally automatic, no driver interaction and retains drive to both wheels at all times. The disadvantage of ATB is that if one wheel is totally off the ground ,i.e. no drive then the other wheel similarly because the bias ratio is still 2:1 i.e. 2 x nothing is still nothing. Attempts at changing the preload or left foot braking can then fool the ATB into working or better still if the vehicle is fitted with ATC (automatic traction control) the ATB will enhance the action.